World Relief is now accepting intern and volunteer applications for Fall 2014! Interning or volunteering with World Relief is a great way to add an internationally recognized organization to your resume, to gain a deeper understanding of relief and development work, and to explore the possibility of future employment. As millions in the United States collectively come before God on this National Day of Prayer, we cannot forget to intercede for those among us whose voices have been silenced: the thousands of men, women and children who are currently enslaved in the US as a result of human trafficking. This is the second largest and fastest growing criminal industry in the world, and it is quietly stealing lives in America each day. The nation will pray today for righteousness to flow across America, so we must also implore God to bring justice for victims of this incomprehensible crime. 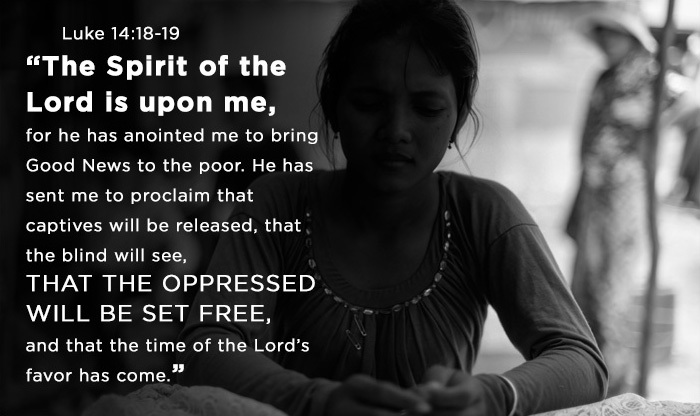 Jesus hears the cries of his enslaved sons and daughters, and we join with them today as we pray for and seek their freedom and justice. 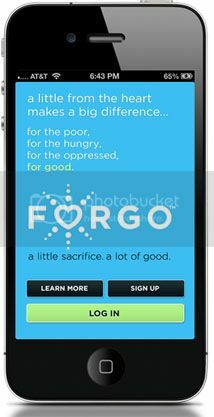 Stand with us and support our work to end human trafficking in the US and internationally. Women Who Stand/Baltimore is planning a fundraising bike ride called RIDE/365, a 5-day, 365-mile bike ride across Maryland to raise funds to support two specific World Relief programs, one in Cambodia and one in Malawi, for one year/365 days. We have a core group who wanted to do this ride which is how this came about, but we are looking for more participants. 1. BE A RIDER – Each rider is asked to join the team in the goal of raising $25,000. We are asking that each rider aim for raising $2500. Also, to be a rider, you need to be prepared for 5 days of pretty intense biking. The training goal is to be able to ride 75 miles in one day. If this is something you have done in the past or feel like you can be prepared to do, please contact us. We are limiting the ride to 10 participants. 2. BE A CREW MEMBER – We need a few people who would be willing to be part of the SAG (supplies and gear) crew. As part of the crew, you would be expected to join in the fundraising efforts. There is the possibility of job-sharing (participating for 2-3 days,) but our first desire is to have people for the entire time. 3. WELCOME HOME PARTY – We need people who can help plan and execute a party for when the riders return to Baltimore. The party would be on Sunday, September 22, probably in the early afternoon. 4. SUPPORT A RIDER – Each rider will have an individual web page to accept contributions. We will let you know when it is ready and maybe you could see if a friend is riding and be a part of their support team. 5. Other – If there is something we aren’t thinking of or if there is some other idea you have, please contact us. For all of the above, please contact Kris Bailey at krisbailey23@gmail.com. We are excited about the opportunity to use the resource of our own health to complete this ride and support the most vulnerable in Cambodia and Malawi. We’d love to have you be a part of this in what ever way you can.